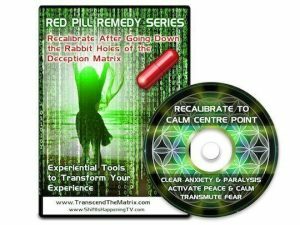 This mp3 Digital Download presented by Deb Pietsch, is a guided Experiential Tool that’s more powerful and important than it may sound. Call back your vital lifeforce energy that is disbursed outside of you; usually unbeknownst to you. Do you know where your energy is going? Or if someone is "vampiring" your energy? Of if someone is sending you THEIR energy? Have you ever had an experience, good or challenging, inwhich you kept thinking about the person(s) involved? You may even have experienced “monkey mind” about the experience or your “gut” still wrenches when you think about it. Well guess what, that’s your vital Life Force energy still being affected by the experience or situation... AND that’s JUST the beginning of ways your Life Force Energy can be tethered or entangled outside of yourself. You want to own your energy field so that other people aren’t consciously or unconsciously connecting and cording in with your energy field. 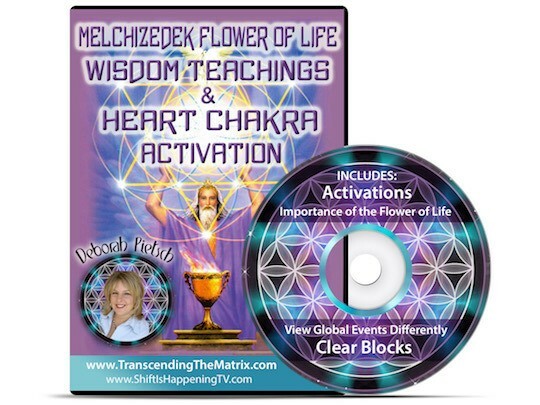 More Insight Regarding "Calling Back Your Life Force Energy"
From Deb: One of the results from using this tools and it's techniques, is to have a lot of energy. It’s actually interesting I’m just being guided to share this. I am like the energizer bunny. Honestly my age, I’m over 50 and I can, without trying, run circles around a lot of people energetically. I’m just being guided and told that a big part of the reason for that is because I have been in "ownership of my energy field" for so long. This is a technique and tool that I learned from my Guides back in the 2003. Often times we don’t even realize that we have “corded” other people, or other people have “corded” us. Or that we have sent our energy out to other people or situations. Even the simplest unconscious thought, or even saying to somebody, “Hey let’s connect”, or “Hey I’d like to connect with you”, or “It’s great to reconnect with you”. What you may not realize is that energy is actually creating that reality; that connection! It’s great to say but what’s important is to be conscious that when you’re saying it you're not energetically cording them and vice verse. Once you get to a place where you’re consciously aware and you’re in a very strong ownership of your Un-I-Versal Field and your energy field it’s not something that you necessarily need. Please note: This mp3 digital download must be downloaded to a computer first – it’s not an app that can be downloaded to a phone or an iPad. You will have 3 download “tries” before the file will expire and then you will not be able to access it again. So PLEASE download it to a computer only!! 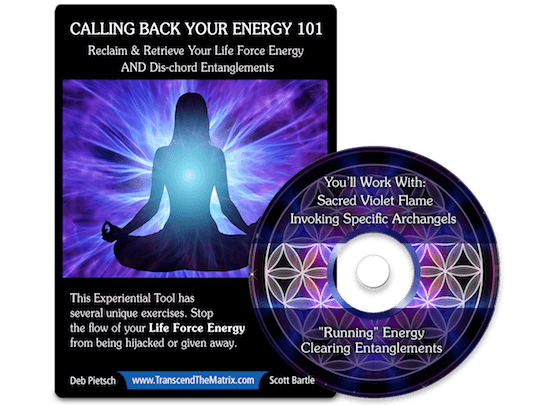 Clearing Your Field 101 ~ Begin Here!